All lectins are highly purified and subjected to intensive quality control to ensure you have the best lectins available on the market. The National Center for Functional Glycomics (NCFG), with the support of the NIH Common Fund for Glycosciences, is screening a selection of Vector Labs's lectins. Using the Consortium for Functional Glycomics (CFG) glycan arrays, the NCFG analyzes the glycan specificity of each of our lectin lots, and provides these detailed lectin-glycan binding data to you on the NCFG website. The goal of this NCFG project is to support rigorous and reproducible glycobiology experiments. 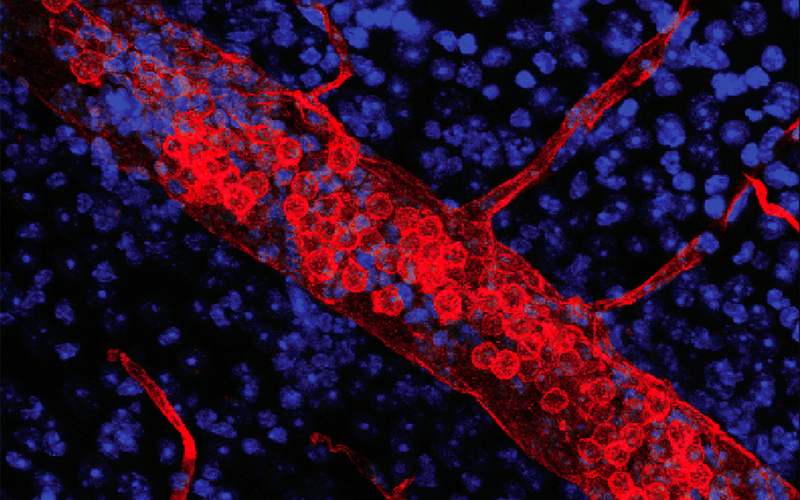 Retina flat mount from mice, perfused with DyLight 594-LEL. The retina were mounted in Vectashield HardSet+DAPI. Image courtesy of George W. Smith, Florida Atlantic University. 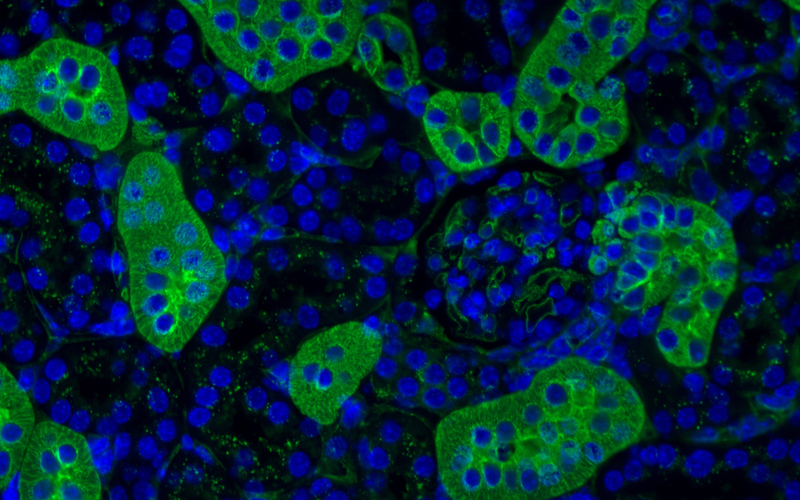 Mouse kidney, formalin-fixed, paraffin-embedded: DyLight 488 conjugated Lycopersicon esculentum lectin (green) mounted in VECTASHIELD HardSet Mounting Medium with DAPI.